I'm traveling from Air France this weekend and will be landing in Paris. I have 7 days From 30th December - 6th January where i'm planning to explore out of France. Any suggestions to places i can visit. Best mode of transport ? Unless there are autonomous buses in France, it would probably be good to ask for suggestions in another thread. Lucifertk, I think you had another forum open in another tab on your browser. If you didn't, I recommend you ask this question on the FlyerTalk forum. Uber has started an autonomous freight service two days ago in Nevada. (18 wheelers) If we remember correctly, Nevada was the first state to legalize an autonomous vehicle. There are plenty of links just google it. Kind of scary. Its a big vehicle to be ran autonomously. They claim when the vehicle leaves the state it hands off to a live operator. An uber hired person watches the vehicle while in nevada. It's unclear if they have a cdl though. Uber hopes to be able to sell its teck to truck companies across the state. My question is with an autonomous truck who is watching the load.? I had seen a TV story that Uber was testing it in Arizona (Google references).There are reference to Freightliner having a test in Nevada, but Arizona seems to be the current news. The other thing they said was that the driver still had to ride in the passenger seat because someone has to couple trailers. That, the story about a woman being killed when a truck tire fell off, and some truck tire exploding in front of me when I was driving on I-75 make me wonder whether the autonomous truck has sensors for that. My question is with an autonomous truck who is watching the load.? If I'm interpreting your question correctly, that wouldn't change from the way it is done now. A trailer door seal (basically a uniquely numbered zip tie) is put on at the pickup point. The seal number is printed on the bill of lading which must remain with the load (usually in the cab). 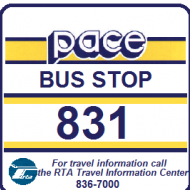 Drivers are responsible for verifying that the seal is intact at each stop. I would assume the autonomous truck doesn't make intermediate stops unless there is a mechanical problem, so there wouldn't be much opportunity for someone to tamper with the seal or load without a driver present. I thought that was answered in my post (at least by implication) that a driver must still ride along. Yes, but the articles (such as this CNN one) mention the eventual plan is to not have a driver present. I guess I interpreted @BusHunter's question more generally than you did, but I'm not sure what he meant by "watching" the load. How do you stop a truck hijacking? There have been reports of trucks being unloaded in route, but that could be defeated by finding out what disables the truck. I suppose they could outfit cameras on trucks to watch them and call the cops when suspicious activity occurs. I was on a truck lately that had a camera watching the load from inside the truck. Who are they watching the driver, dock worker. Strange. Further reading about uber indicates they have purchased 24,000 Volvo XC90 autonomous cars in 2017. The CEO of uber indicates a rollout of autonomous cars beginning within 18 months. So maybe no more uber drivers soon. First they have to convince the legislature to allow such vehicles on the road. Busjack has more pressing questions when he said what happens with a flat tire? Or an onboard fire from a brake defect. An autonomous vehicle needs to have sensors all over the place to perform properly. Tire pressure sensors are already commonplace for that specific problem. The programmed response if something was wrong would most often be to get to the shoulder and send a message to someone. There will likely be a lot of trial and error to get all the systems working to the point where they reliably detect problems without giving too many false alarms. That's another reason to have a driver on board for now. I'm sure someone will still need to do a pre-trip inspection before the truck leaves the origin terminal, which would hopefully prevent many potential issues. The accident in Joliet with the wheel coming off the truck was likely preventable, as evidenced by the driver getting a citation for operating unsafe equipment. I doubt anyone would try to disable an autonomous truck while it is in motion (but it could be a good movie plot if they did). If whatever is in the truck is worth stealing, a "security guard" could be in the cab. I hadn't heard of cameras inside the cargo area, but I suppose there are cameras everywhere else now. Whoever owns the truck must use it to haul particularly valuable freight. Further reading about uber indicates they have purchased 24,000 Volvo XC90 autonomous cars in 2017. Apparently, the other car makers are working with Lyft. It hits me as somewhat strange that Uber has at least a nonexclusive deal for XC90s (Reuters) when that's about the biggest and most expensive car based vehicle possible. * Maybe the China owners of Volvo have some technology the others don't. *Compared to that most driver owned cabs are Camrys or Priuses. Well the rumor mill said that uber was going to buy Teslas so that is probably more expensive yet but Im sure they got the bulk rate. Question is what is the fiture going to be like? Do you know how many driving jobs there are? If the driving industry goes autonomous could that actually send us into a recession. VW is talking school buses but they are small still. I wish I could put up this link but I'm on my phone but over 30 states leading professions are truck drivers. They have a graphic showing the United States and what each states leading professions is. Site is makeuseof.com but i had to google it to find it. "How many driving industry jobs are there" that what i googled. Btw Illinois is one of the states. Technology moves forward. How many independent contractor jobs are available with Yellow or CCC cab now that Uber and Lyft have free reign? In Rochester, N.Y., they say that a museum was founded by the daughter of someone who knew when to get out of the buggy whip business and invest in Eastman Kodak, which, due to digital cameras and smartphones, is now bankrupt.There was crying in the 1960s that the oil refineries were being automated. I used a slide rule in college chemistry class.The new jobs (like fixing the electronics on existing cars, not to mention these) will have to supplant the old ones. Just another reason to learn STEM. I guess you have to play your cards correctly to go with the tech. You know how they have owner operators, I guess now they'll just have owners. How many autonomous trucks you own will merit your success but you would think the companies would stand to gain the most money to just buy their own trucks. You know how they have owner operators, I guess now they'll just have owners. Except it looks like the owners will be Uber, Google, etc. Some guy sleeping at the truck stop who just bought a Kenworth may eventually be out of luck. Probably the best they can do is sell the tech. I doubt theyll own anything. They are not Kenworth builders for example. It won't be long and others will do the same thing like product lines that are owned by retail corporations like Members Mark etc. They just be billed as an Kenworth product. Probably the best they can do is sell the tech. I doubt theyll own anything. I was referring to the owners of the tractor unit of the truck, not the owner of the manufacturing company. For instance, Volvo is apparently manufacturing the autonomous XC90s, but Uber will own and operate them. Daniel who has a side hustle to pay for date night won't. *At least the point @BusHunter was making. Yeah but what keeps Daniel and his buddies from opening a business and undercutting the competition. Basically it just takes a software tech to start a low key business. I guess we'll find out how safe Volvo really is. But they have 24,000 chances now to screw up multiplied by each ride. In a lawsuit the bigger fish is probably Volvo but all parties involved wouldn't be bad. Something about this just doesnt seem to wash. I would at least put stewards in to over ride any conflicts not that they are going to help with split second decisions. Like I was telling a team of doctors how long before they create the robot surgeon? There may come a day where humans are not essential to the workplace. Question is what will we all do? There was a discussion downtown about autonomous cars that a team of lawyers was telling me about so this has a lot of legal hurdles to jump through before it's reality. Like I was telling a team of doctors how long before they create the robot surgeon? There may come a day where humans are not essential to the workplace. Question is what will we all do? Flippy, above, isn't ready yet. That's what's been discussed for about 10 years. Among other things, peer to peer communications between cars seems a necessary prerequisite. I laugh thinking about that conversation. The doctors Northwestern med students, i should have said future doctors, scoffed at me like that is not possible. Oh yeah we thought driverless cars are folly but there not. How it stops at traffic lights I wonder about though. If it can do that it has an artificial intelligence which is all you need to perform any job on earth. The lawyers were the real deal though dealing in transportation. They had a conference at the hotel at Wacker on the east end I want to say Columbus but that's not the street. Guys and gals were coming from out of town for this, sounded like a Carolina accent. Fippy even made Pat Tomasulo's Man of the People The Voice of Reason segment, which ended with "Stephen Hawking is telling us that it will be the end of the world USING A ROBOT VOICE." Supposed to go up on YouTube. The future is going to be fun. That could work to your advantage if you need a android companion. It's all coming soon. they'll probably work out the kinks and start again. Shocked to learn testing is going on in pittsburgh. How??? Must be in a closed track. Its legally impossible so far to run except out of Az and Nevada. As far as this incident is concerned it becomes a matter of how many lawsuits uber wants to pay. Not many from the sounds of it. In the current scenario, existing human drivers if they kill someone are liable for a lawsuit but a good attorney knows the big tuna is uber, but uber's attorneys are probably better due to their deep pockets. That is the big risk in driving for Uber. This is why most insurance companies having special uber policies, because you are high risk due to the miles you drive. But I guess the same can be said for any driver.